Who’s tired of all these Chinese, Indian and Pan-Asian restaurants that we can pretty much see everywhere we travel? I know I am. Don’t get me wrong; there are reasons why we all love Chinese and Indian cuisine, but switching things up sometimes is a very good thing—especially when it comes to trying new cuisines. Los Angeles is the best city to do just that. 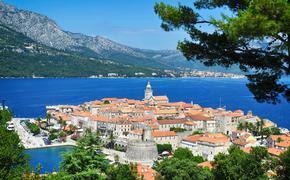 The sunny, palm tree-lined city is not just about movie making, spotting celebrities and sunning at the beach. It also has an amazing and eclectic gastronomic scene that boasts cuisines from places as far-off as Nepal and Myanmar. A trip to the City of Angels demands a sampling of what it has to offer, especially in the Asian variety. 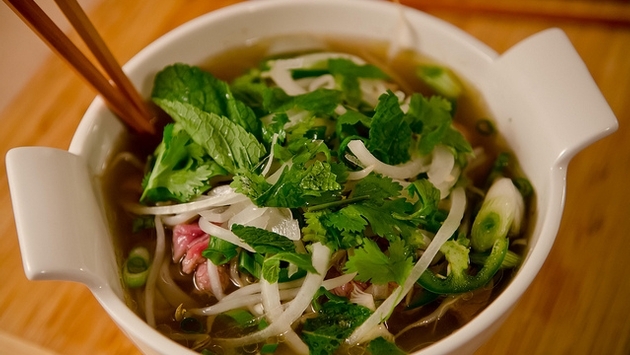 Vietnamese cuisine is a big deal in Los Angeles, especially pho, which you’ll find all over the city. Vietnamese food here may not be as amazing as it is in Vietnam. However, if you haven’t had it, LA’s definitely a great place to start. You’ll love how light yet deliciously satisfying the dishes are, and that hint of lemongrass is definitely a plus. Sample the more popular dishes including Banh mi as well as rice vermicelli dishes like Bun bo Hue and Bun cha. Sushi and ramen are among Angelenos’ favorite dishes. There are plenty of terrific sushi spots in the city, including Omakase-style Sasabune where a meal costs $250. And there are at least two ramen rows, one on the east side called Little Tokyo and the other on the west side in Sawtelle. The both feature restaurants that make different types and styles of ramen—yes, there are several. There are also a few Japanese curry restaurants where you can order the must-try chicken katsu curry. It’s hard not to love Thai food. It's a work of art. Thai dishes are a medley of flavors and textures as well as ingredients that you wouldn’t even think would work well together. It just so happens that it’s one of the more popular cuisines in Los Angeles. There are many amazing Thai restaurants in the city, the best of which might just be Night+Market Song in Silverlake. There are several incredible dishes to try here; just be sure to order their mango and coconut rice for dessert. Filipino food might just be the most underrated in Asian gastronomy, which is a shame as it boasts some of the tastiest and heartiest dishes. Since LA is a den of Filipino restaurants, it’s just the place to try this cuisine for the first time. Adobo, pancit and pork lumpia are obvious must tries, of course. But sample the less obvious ones too—fried milk fish, sizzling sisig, pinakbet and pork sinigang, to name a few. Max’s is a good place to start. Whether its proper Korean BBQ where you cook the meats yourself and get a plethora of sides, a sizzling dish of Bibimbap, or a steaming bowl of Kimchijjigae, you’re in for a glorious treat. Korean cuisine is one of the best and healthiest as far as Asian cuisines go, and you’ll be addicted in no time. There are a lot of Korean food joints in the city, but Koreatown near Downtown LA is home to many of them. If you’re not as health conscious, you might also want to try the twice-fried chicken. While Burmese cuisine has Chinese, Indian and Thai influences, it’s still a whole new experience entirely. This cuisine native to Myanmar involves a lot of cooking with fermented seafood and fish sauce. That may not sound very appetizing to many. But remember that many Thai and Vietnamese dishes have fish sauce and shrimp paste in them too, so it’s not that uncommon. Burmese food is becoming increasingly popular in LA, which means now’s the perfect time to try it when you’re in the city.